Scientific Testing and Analysis Services for the mineral exploration business. 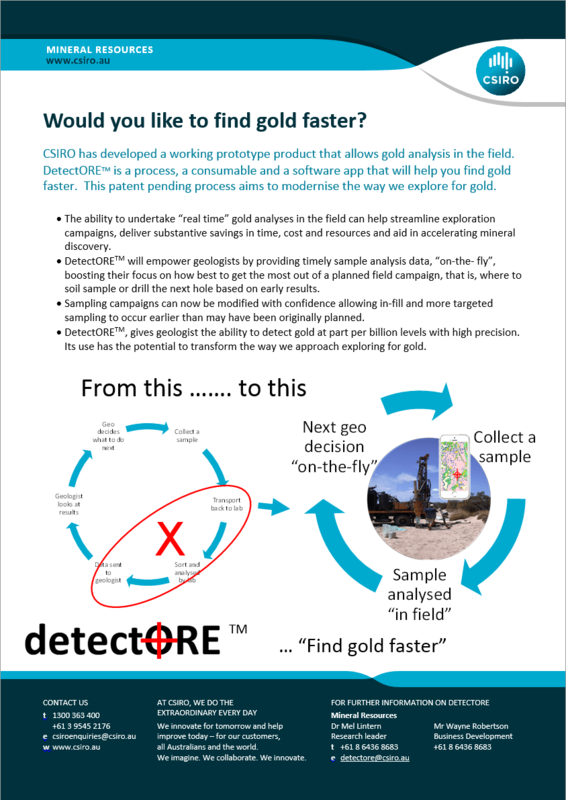 Commercialisation of the detectORE invention from the CSIRO, that enables for the first time low level gold determinations using portable XRF equipment. This has global significant to the gold exploration industry and the company is finalising a licence agreement with the CSIRO for the global commercialisation of this game changing invention.